The first number you will see on the Home Tab is your Client Return Rate. 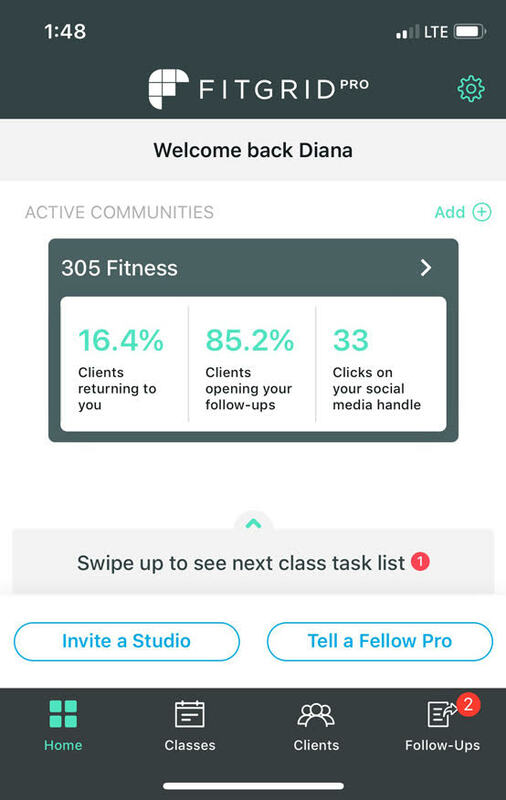 FitGrid partners with Mindbody to sync your class data. We count a returning client as someone that has come to your class more than once in the past 30 days. Example: If you have 10 clients visit you, and two of them return in 30 days, that is 2/10 = 20%. To track your return rate and see how it compares to others, click on the grey box with your studio name at the top. You can toggle between a 3 month and 6 month view of this graph. Click on one of the bars to see exact percentages.